office, study, living room, kitchen, dining room, display case, under cabinet, etc. 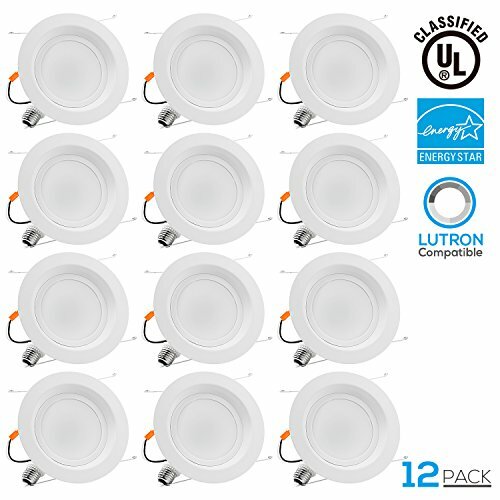 With 1200 lumen brightness, it outperforms most similar 6inch recessed lights in current market. yearly cost of 2.29 dollars (based on 3hrs/day, 11/kWh, cost may vary depending on rates and use). Halogen bulbs emit a lot of heat and use a lot more energy than standard lighting. adapter and self-retained spring clips, which makes the conversion extremely easy. No other tools or components are needed. won't wear off after years of heavy use.